Last year I hosted a Valentine's Day play date party and it made me realize 2 things: 1. When you take the pressure off of an event by having it during the day, it becomes so much easier to keep things simple. and 2. Freeing up weekends by hosting some celebrations during the week is simply awesome. Obviously not everyone can do this- if you are a full time working mama, a play date party probably isn't feasible. But you can still use these tips for your weekend hosting gigs. above: cookies for decorating, foam crafts, candy canes for hot chocolate. below: hot chocolate bar. 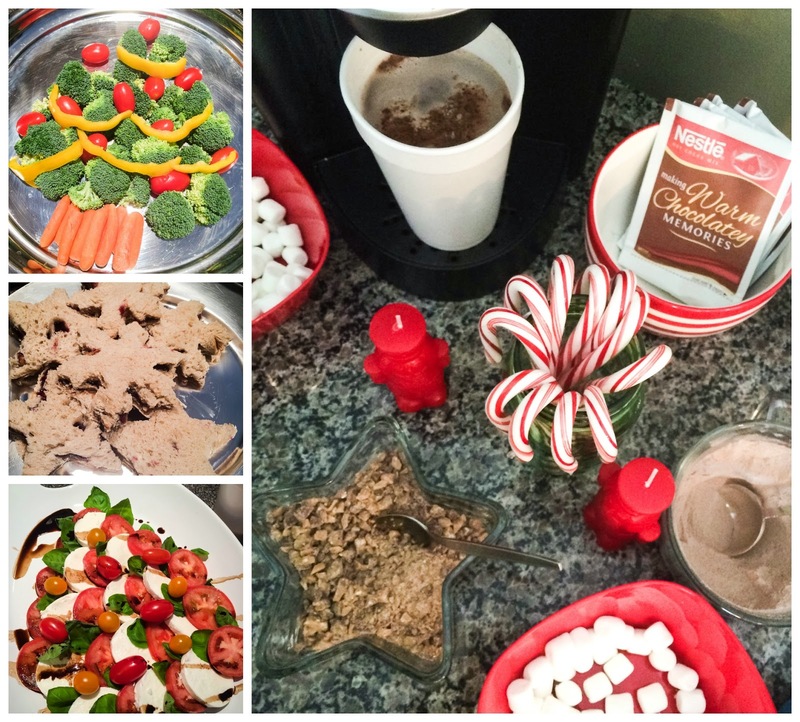 Christmas themed eats for kids and grown ups. 1. Ask for help. If you have a group of mama friends you hang with, why not ask them to bring something? For the fall party pictured, the hostess asked people to bring a snack, a craft, or a drink. One mom brought coffee (points for it being from Starbucks. double points that it was via the drive thru), I brought fall themed trail mix. We're talking simple. 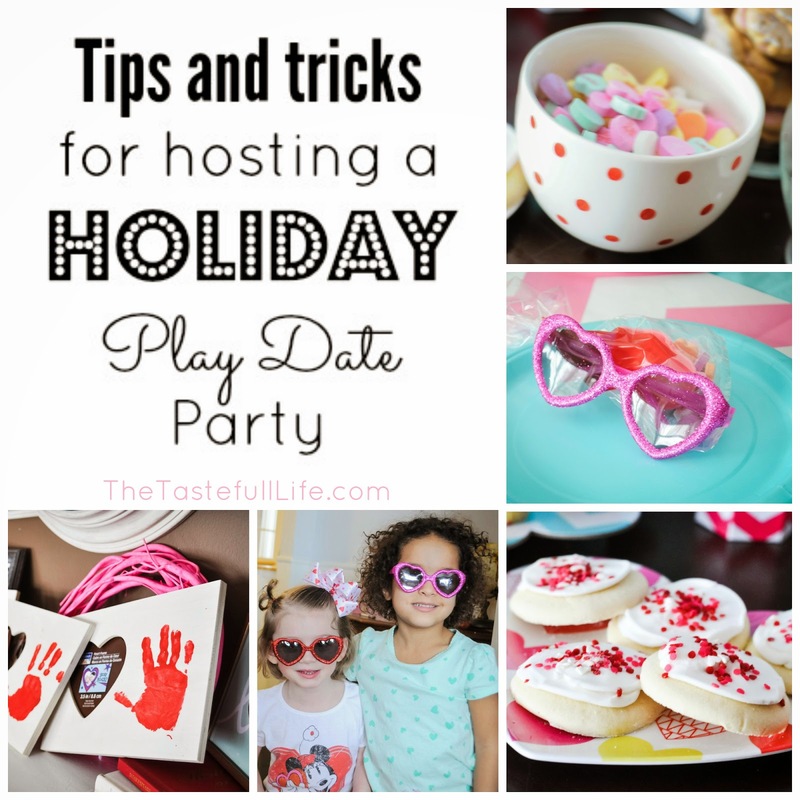 Play date parties double as a way to hang out with your friends plus free entertainment for kiddos so I find mom friends are happy to pitch in. 2. Store bought ALL the way! 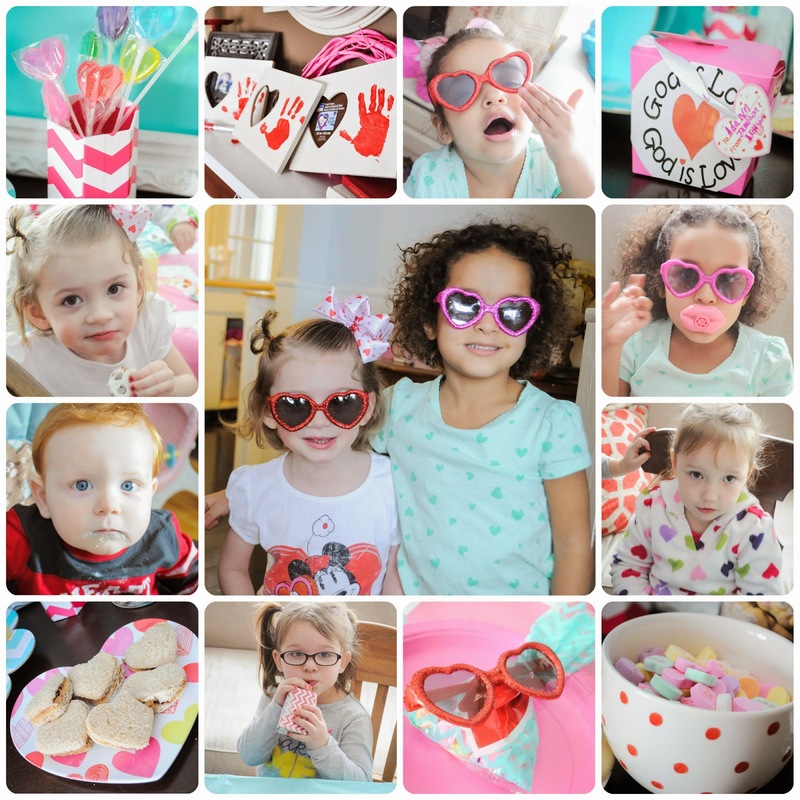 The Valentine's Day play date party was the first in which all the kids' snacks were store bought- chocolate pretzels, donuts, candy hearts, juice boxes, etc. I made "real" food for the grown ups but it was just french toast casserole which I prepared the night before and a salad. The yummy treats pictured above were put together by my sister-in-law and while they look super fun and impressive they only took minutes. 3. Plan a few kid friendly games but be flexible. At the fall fest party, my friend did a simple game of ring toss with pumpkins. At the Christmas party we did a book swap for the kids. These activities are simple but fun. Flexibility is key- sometimes the kids are fine just playing. I find that when they start getting cat fight-y (that's a thing right?) it's time to break out a craft or a game. 4. Crafts go a long way. We always have some form of craft to keep the kids occupied and for a fun thing to take home. Many of the kids aren't in school yet so it's fun to have little crafts they complete elsewhere that they can bring home and hang on the fridge. 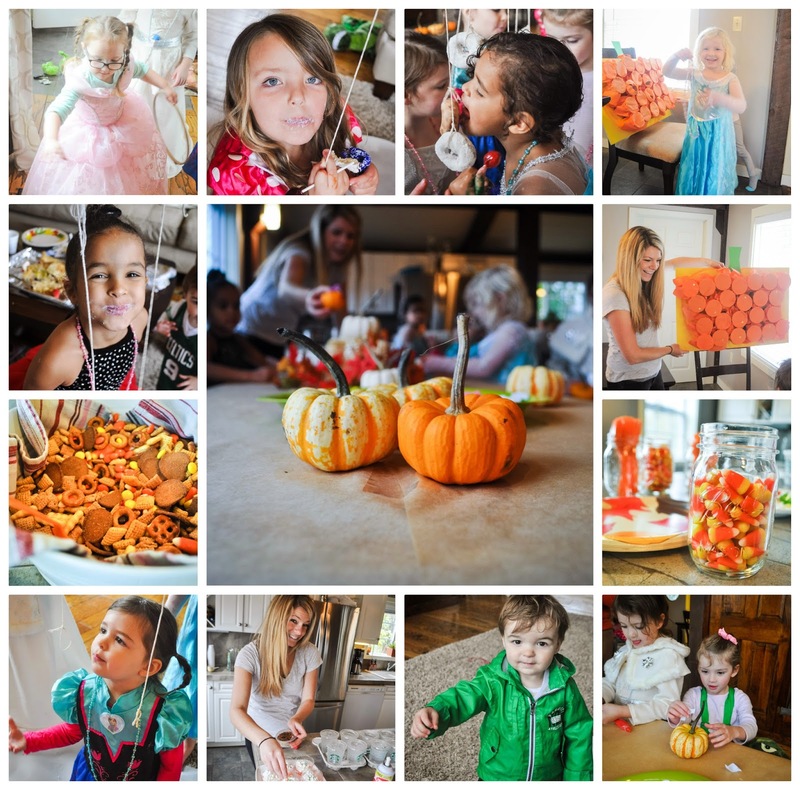 We've painted pumpkins, done hand print frames, made foam gingerbread men, etc. 5. Lastly, shop Dollar Tree and target's $1 and $3 spot for crafts and party pretties. The ornament "centerpiece" consisted of a tube of $1 mini bulbs and a $1 vase from the Dollar Tree. Seriously dollar spot finds have inspired entire parties in my case! I can't help but do a few fun decorations for these play dates but they are always super simple and cheap. Who has time to DIY elaborate decor for a play date (and it would most likely go unappreciated anyway!). But I find that a few little party pretties create a fun and festive mood! 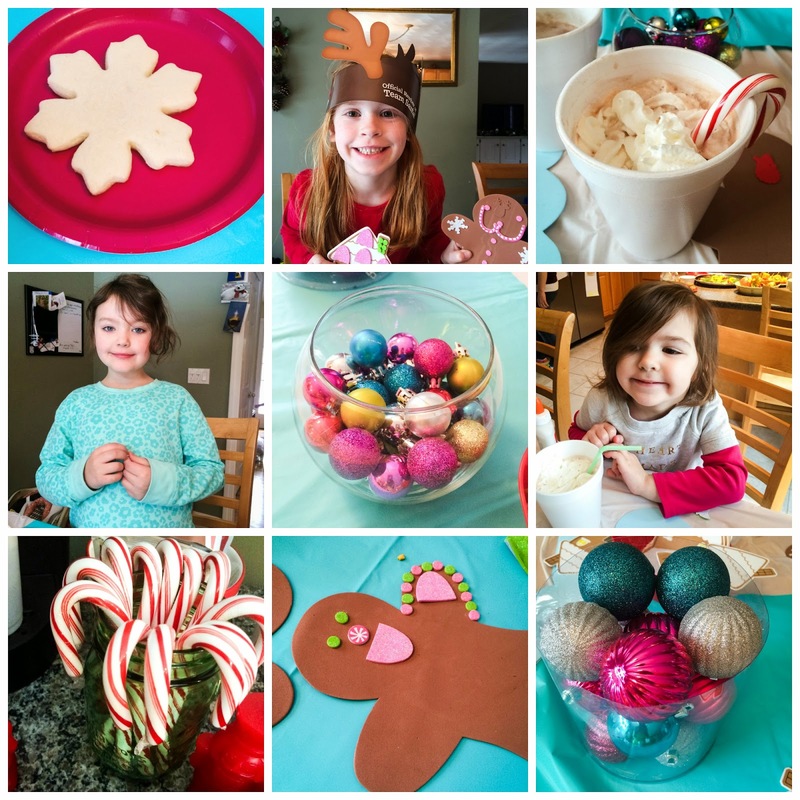 So do you and your friends do Holiday themed play dates? Do you have any other tips to share?